If you have any questions or want to enquire about dates, use our form to contact Sandy Coppen or see their website for more information. Pull the shiny brass bell and step into a wide, welcoming hall. Bedrooms are inviting too with goose down quilts and pillows, striking art and flowers; the guest sitting room below has French windows opening to the garden, more art and comfortable character. Sandy’s breakfast by the Aga is a home-produced and local spread, and you eat in a sunny room with pottery on the dresser and an old clock ticking away. Make time to explore the interest-filled garden; there’s a willow house by one of the ponds where you can sip wine on summer eves. Find great walks from the door, vineyards and gardens to visit, and Brighton within easy reach. Utterly Sawdays! Delightfully quiet location, amazing historic house with an individual and eclectic touch evident everywhere. We were made to feel very much at home; slept superbly well in the sleigh bed and woke to a delicious breakfast. Sandy's breakfast was lovely home produced plums, blueberries, honey, tomatoes and apple juice augmented with a generous cooked platter. Gorgeous garden and potager; you couldn't be disappointed! Perfect for visiting Lewes. I rarely write reviews but in case I simply must. I stayed at The Beeches with my husband, and elderly and frail mother in law. We could not have been more delighted with the high standard of accommodation, the wonderful breakfasts and the simply beautiful gardens to potter around in. Sandy offered absolutely every care and consideration which made our weekend such an enjoyable experience. We were welcomed into a home which is infinitely more than a bed and breakfast might suggest and we would be very happy to return. Splendid house, very comfortable and airy room, absolute silence during the night, charming hosts, impressive garden : only good things to say about this place. Highly recommendable ! The Beeches is a grade ll listed country house in the heart of the Sussex countryside. We are close to the South Downs for bracing walks. For those for whom gardens are a passion, there are a number of wonderful gardens within easy reach: Bateman’s the home of Rudyard Kipling, Wakehurst Place, Borde Hill Gardens, Great Dixter, Sheffield Park &Nymans. Glyndebourne Opera house is only five miles away. Barcombe is equidistant from the famous seaside towns of Eastbourne and Brighton. The County town of Lewes is 3.5 miles away. It has a wealth of historical buildings, interesting shops, pubs and the 300 year-old Harvey’s brewery, producing award-winning real ales. At the heart of the town, a Norman Castle dominates the centre. Your taste in art and literature can be indulged at Charleston, 6 miles away, the country house of the Bloomsbury Group of artists and writers. 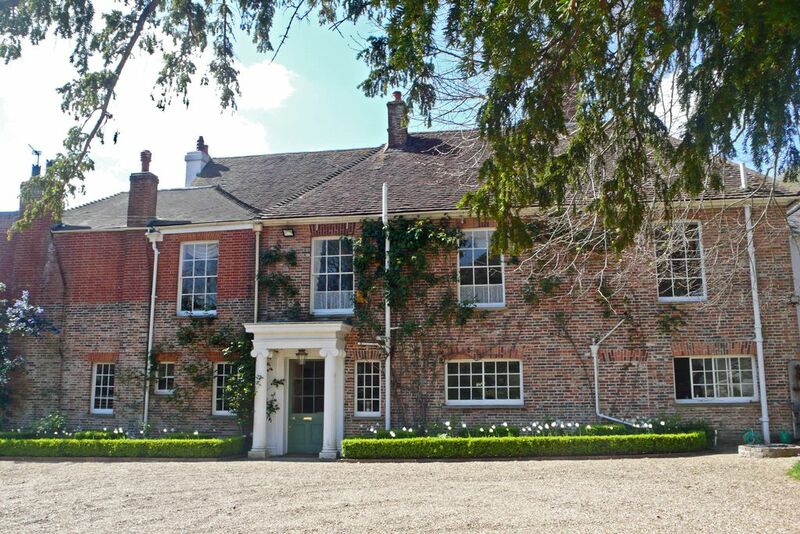 The Virginia Woolf connection can be further explored at Monk’s House, Rodmell, 4 miles away. There are many traditional Country pubs in villages around Barcombe: The Jolly Sportsman in East Chiltington, The Ram in Firle, The Griffin in Fletching, The Rainbow in Cooksbridge, The Anchor in Barcombe, to name a few.